They will walk out of the room after the talk with more than just being motivated, they will be inspired to act and to take full responsibility for their own success in sales. They will feel proud of who they are and proud of what they do and will be enthusiastic and excited about going out and seeing customers. They will have renewed energy, enthusiasm and excitement for selling. Energise and uplift the mood at your next sales conference / sales event / quarterly review meeting with one of Ray’s Sales motivational keynotes. 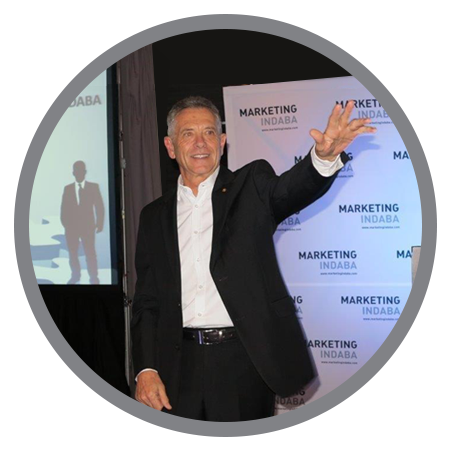 Ray’s Sales Motivational keynotes are simple, relevant, to the point and effective. They are delivered with energy and passion and are aimed at inspiring salespeople to renewed levels of enthusiasm for selling! Unlike most other speakers and trainers, Ray chooses to speak without using power point, which enables him to really “connect” with the audience and to “Effectively communicate” the message being presented. Making a good first impression. The 10 second elevator introduction, Communication. Features and benefits. Value based selling. Tips for making telephone calls. Making appointments. Overcoming objections to appointments. The 5-step sales process for controlling the sale. Sue Nesbitt – April 2013. Andrew Horton – Jan 2012. Beryldene Stemp – June 2012. Roy Cackett – April 2015. Nadia Oberholzer – Jan 2012. Ian Rheeder – Nov 2011. Jacques de Villiers – Oct 2011. Tjaart Booyens – May 2013. Paul du Toit – June 2012. Eddie Collins – Feb 2012. Ian Mansfield – Aug 2016.